Today, we celebrate the hard work of Americans who are laboring to provide for their families and hopefully working to realize their dreams, too. We are celebrating being amazing workers / laborers, right? Is it really a celebration, though, if you’re not quite happy or fulfilled in your job / career? Don’t let a bad resume, being stuck in confusion and with poor confidence, and not knowing what to do about changing your situation be the reason you don’t go after the job you want and the life goals and dreams you desire. Change starts with doing something you’ve never done so that you can get different results. 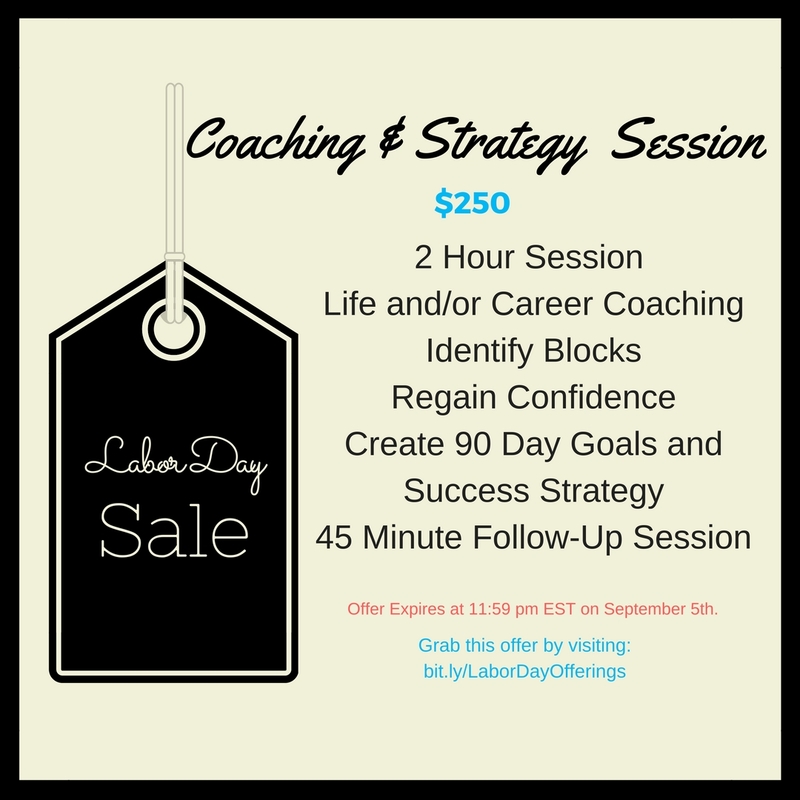 The Labor Day offerings below are based on what my clients have needed the most and what has given them the best results. 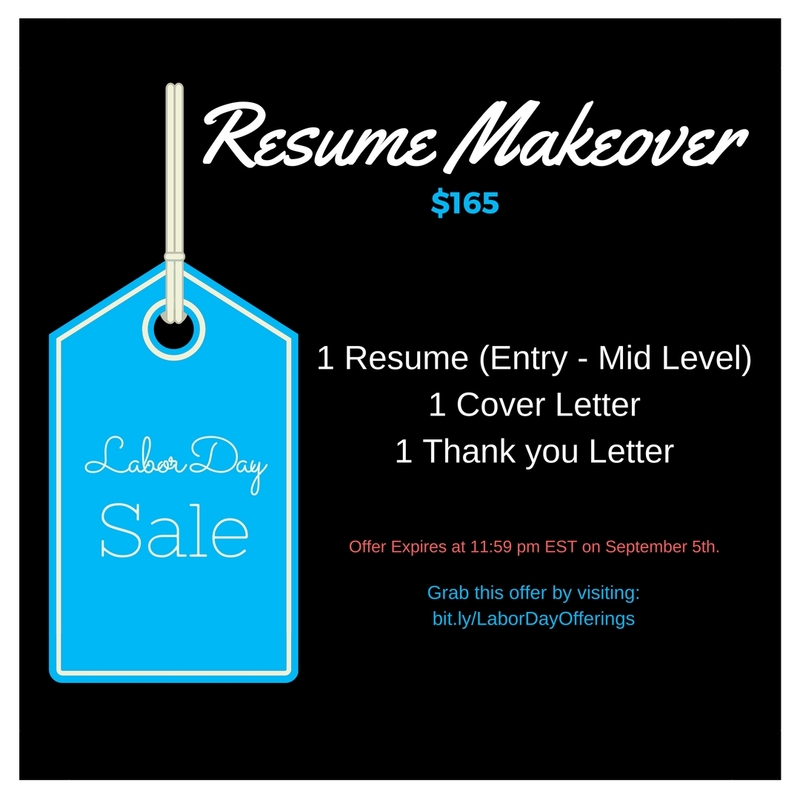 Resume Makeover – $165: Ideally, this would be the best fit for a more than entry level and less than executive level professional who knows exactly what companies and jobs they want to apply to. You know that you don’t really look good on paper right now and you want to present yourself in a way that show recruiters and hiring managers that you understand the big picture of their business, how you can benefit the role, and what you can contribute to company moral and growth. 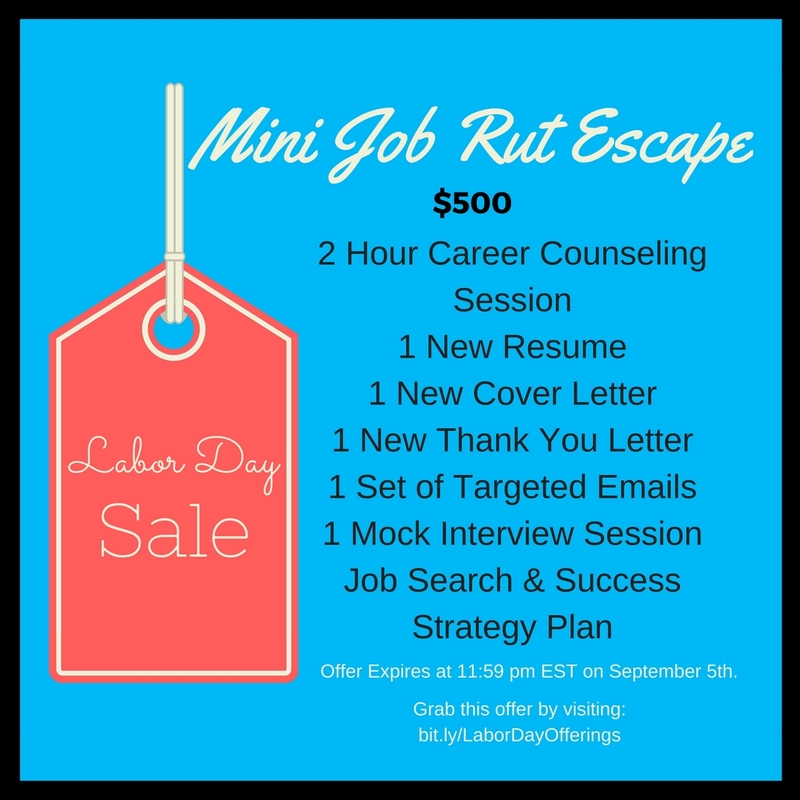 Mini Job Rut Escape – $500: The time has come where you have to make a move now or forever stay in a place that is stunting your personal and professional development. You’ve probably been in a job for a while and you’re slightly intimidated by putting yourself out there. Or you’re finding yourself in jobs that you just can’t stay in and you really want to find a company and job where you can work for more than 6 months. Either way, your confidence and understanding of the value you bring to an organization has dwindled and you need help seeing yourself for the valuable, qualified candidate that you are.